Simple things are usually the best. You can spend hours on a recipe, going to different grocery stores and specialty food markets to buy unique ingredients, but often times it's the things we make with what we have on hand that taste perfect. This soup comes together in the blink of an eye, and most of the ingredients are things you'll likely already have in your fridge or pantry. It will quickly become a family favourite. 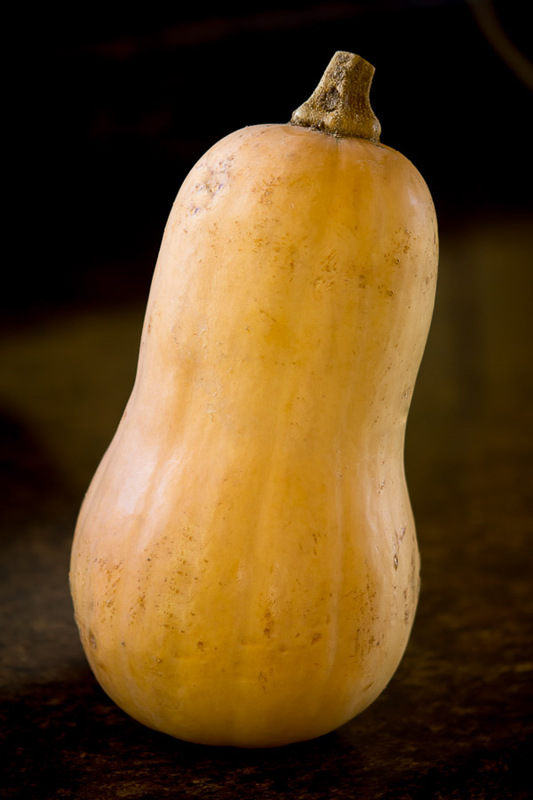 Squash is one of my reliable friends in the fall and winter. It's a standard vegetable, but when you vary the cooking methods and ingredients, your end result is full of interesting new flavours. 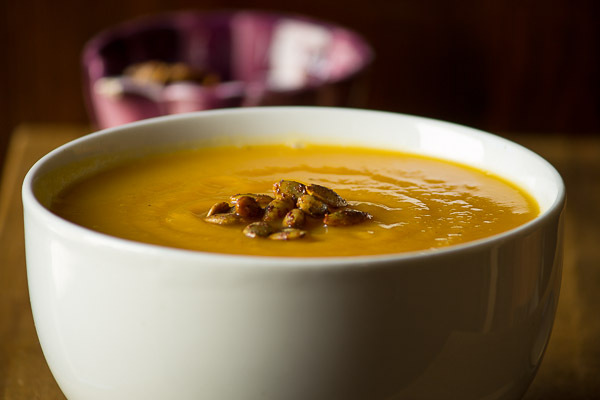 For this creamy soup, squash butternut squash gets roasted and onions and garlic become caramelized. There is no dairy in this puréed soup. The roasting brings out such rich flavours that you wouldn't want to mess with. No lack of flavour here. No lack of vitamin A either. 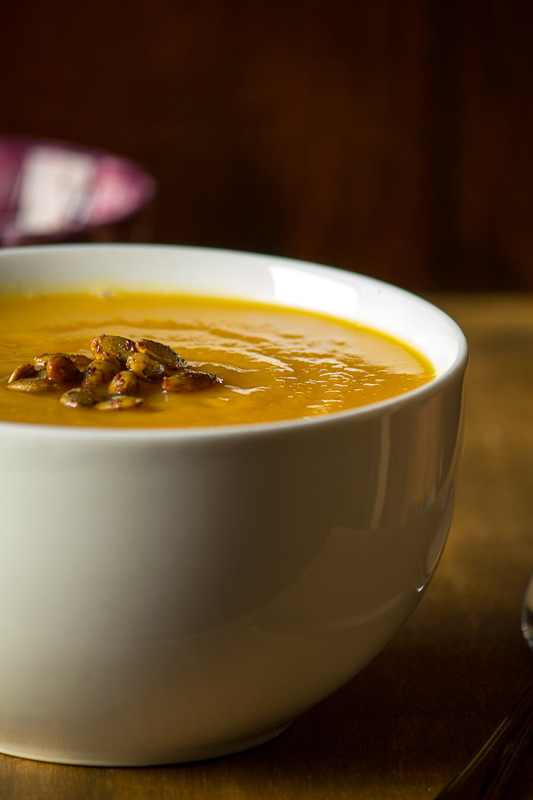 One serving of this soup has a whopping 298% of your daily intake! I kid not...golden, buttery flavoured squash is infusded into every spoonful. And to top it all off? My pumpkin pie spice roasted pumpkin seeds. Now this is comfort food! So simple. So good. Perfect before/or after a night of trick or treating. 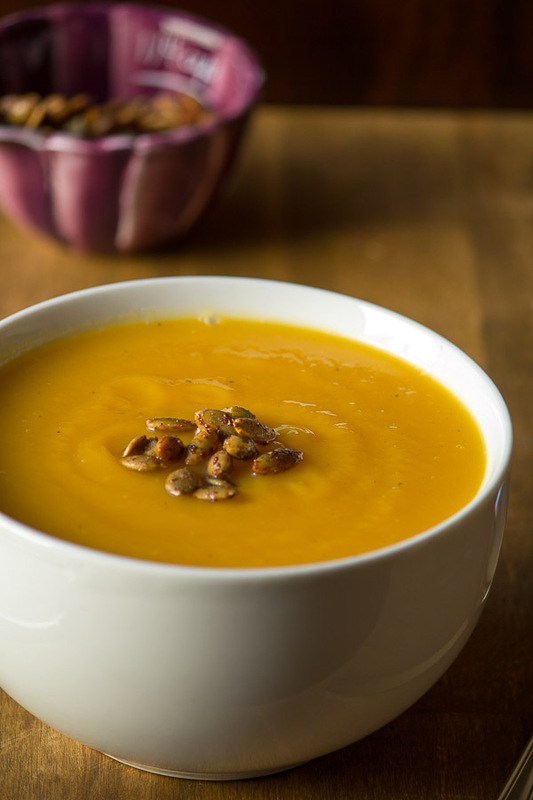 In a large bowl, toss the squash and onions with olive oil, minced garlic, salt and pepper. Line a baking tray with parchment paper and empty the bowl out, making sure the veggies are in an even layer. Roast for 30 minutes, stirring halfway through, until veggies are tender and golden brown. Transfer the roasted squash and onions to a large pot; add the chicken stock and nutmeg. Simmer for 25-30 minutes. 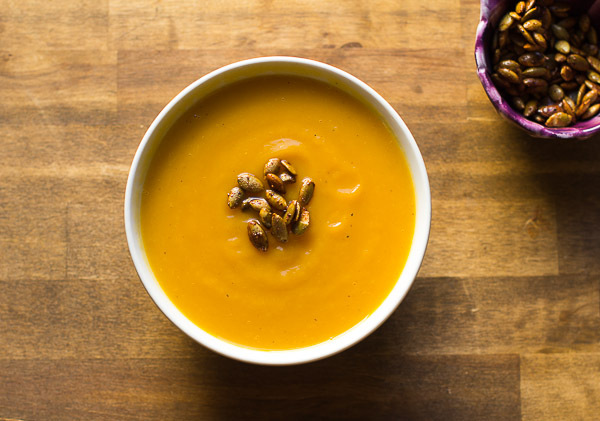 Purée the soup using an immersion blender or working in batches with a blender or food processor until you have a silk smooth soup. Careful it is pipping hot! Adjust seasonings to taste. 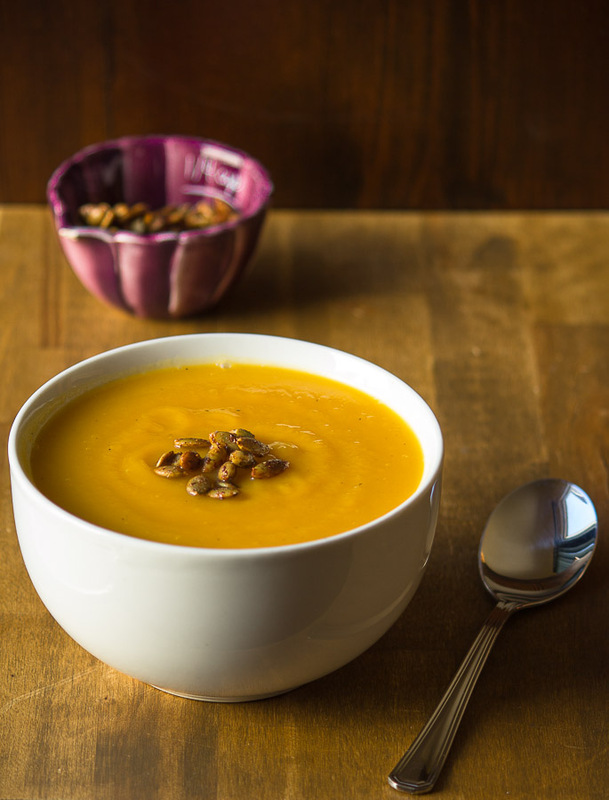 To serve, ladle into bowls and top with 1-2 tbsp pumpkin spice roasted pumpkin seeds.